Brotherhood rules everything around the Wu-Tang Clan, who have stuck together through thick and thin, building a legacy out of more than just beats and rhymes over more than two decades. 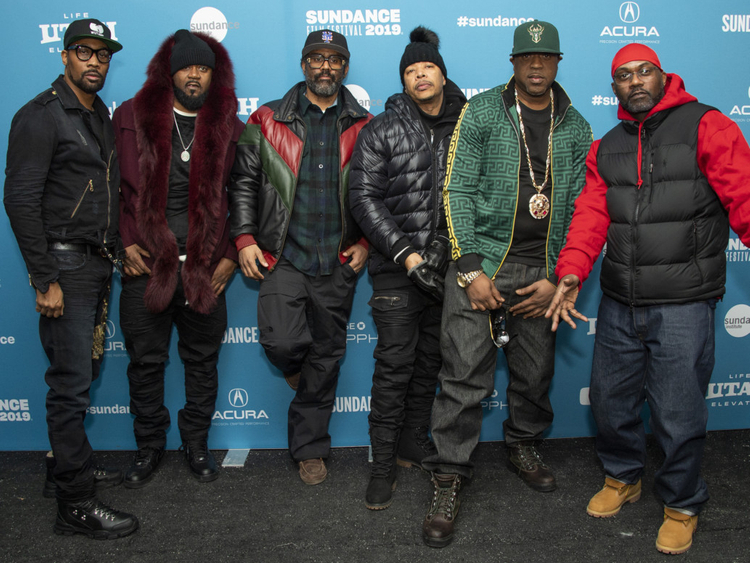 This week at the Sundance Film Festival, Staten Island’s iconic MCs looked back at their journey from the projects to stardom and got emotional premiering two episodes of their upcoming Showtime docu-series, ‘Wu-Tang Clan: Of Mics and Men’. Blending never-before-seen footage with new interviews, ‘Of Mics and Men’ delves into the group’s origins as youngsters growing up in and around Park Hill, Staten Island. “But then they say, ‘There were two ponds — there was the white boy side, and we stayed on our side.’ So you see throughout the film these systematic things that affected their youth, and you see how they coped with it. You see how young folks with very little social capital have hustle and are intelligent,” he said. Over time the Wu-Tang Clan have seen America change, watched their beloved Staten Island change, and with it the fans who made them hip-hop legends. “You look in our audience, and at first it was an all-black audience ... and as time goes on, it’s every race, creed, gender, everybody is there,” said RZA. “Change happens. But this is a big country. Three hundred million people. And you’re dealing with 400 years of an ideology, and if you just want to take it back to the civil rights [movement], maybe only 50, 60 years of a legal change. “I think the problem is that we keep forgetting that the common thread is that we are American,” he continued. “There are only 300 million people of us, versus 8 billion people that are not us. So we’re a small fraction. For us to then subdivide ourselves again is the most foolish thing we can do as a country.